It’s a small nation in one sense, a big nation in another. 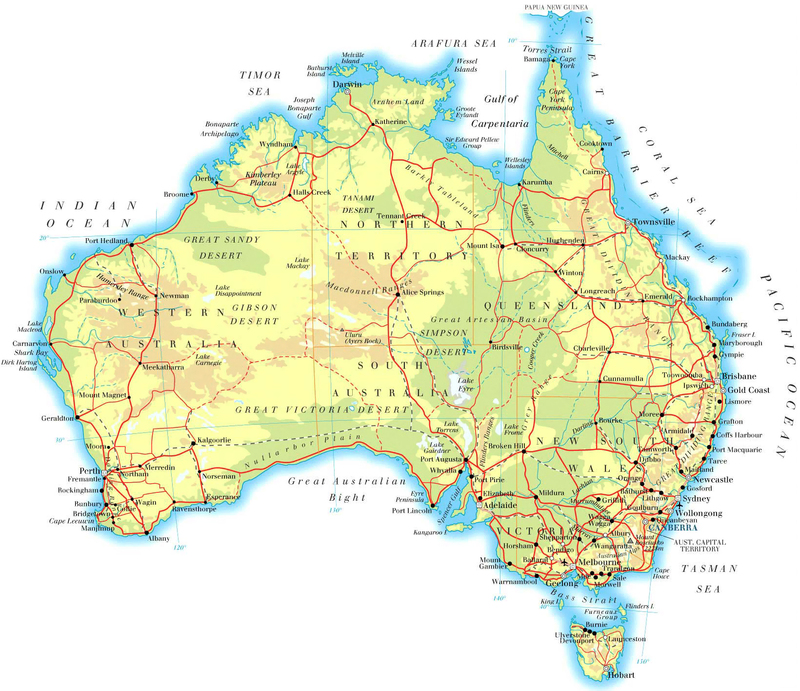 Australia has only 24 million inhabitants, but it stretches for three million square miles, from the tropical jungle of the Northern Territory to scorching desert in the interior and the wind and rain of Victoria. Australia is big in another sense: its fame and its cultural exports. Australian wildlife is instantly recognizable, from kangaroos to platypuses, and Australian stars have been entertaining the world for decades, from AC/DC to Nicole Kidman. But has anything Australian been so successful so quickly in so many places as an unassuming soap-opera set in the suburbs of Melbourne? When Neighbours reached Britain in the late 1980s, it won an audience of millions. It didn’t offer sun, sand or surf, because Melbourne can’t compete with its more glamorous rival Sydney with any of those, but it made stars of Kylie Minogue, Jason Donovan and Guy Pearce. A less famous name may be even more important: Reg Grundy, the producer behind the show, has just died at the age of 92. His career reads like a history of Australian television. The Reg Grundy Organisation, the production company he founded in 1959, was responsible for shows that dominated TV screens not just in Australia but right around the world. Blankety Blank, Wheel of Fortune and Prisoner: Cell Block H are names that will kick the nostalgia meter in the minds of countless people. But the entertainment they brought might never have existed without the business acumen and salesmanship of Reg Grundy. He was born in Sydney in 1923, but grew up in Adelaide when his family moved there during the Depression. After service in the war, he began to climb the show-business ladder as a commentator and presenter on radio. Then he entered the medium that would make his name: television. He developed a show called Wheel of Fortune, which he presented and then produced. It was a massive hit and the foundation for the decades of success that followed. Some of the shows he created were sold overseas simply as formats, being re-made with different actors and even in different languages, but many other Reg Grundy productions were screened in their Australian versions. Young Doctors and Prisoner: Cell Block H won dedicated followings, but their success only hinted at what was to come with Neighbours. But the soap-opera had a troubled start in its homeland. The first run was axed after a few months on Australia’s Channel 7 and Grundy had make big changes before he re-launched. He brought in three young and little-known actors: Kylie Minogue, Jason Donovan and Guy Pearce. They turned the show into a hit, then went on to highly successful solo careers. Kylie and Jason became king and queen of pop, while Guy found success in Hollywood. They might be the biggest of the Australian performers helped to stardom by Reg Grundy, but many others have reason to be grateful for his sure eye for a TV hit. His skills brought him a massive fortune, estimated as Aus$760 million in 2013, but they also earnt him the title of “National Treasure” in Australia. His shows were family entertainment: Neighbours was resolutely wholesome compared to much else on offer at the time of its first success in the UK. Even the would-be gritty Prisoner: Cell Block H had a heart beneath the drama. Reg Grundy’s show reflected his own values and his desire to make the world a better place. Smiles and laughs are simple things, but it’s hard to supply so many for so long to so many people. Reg Grundy did it.